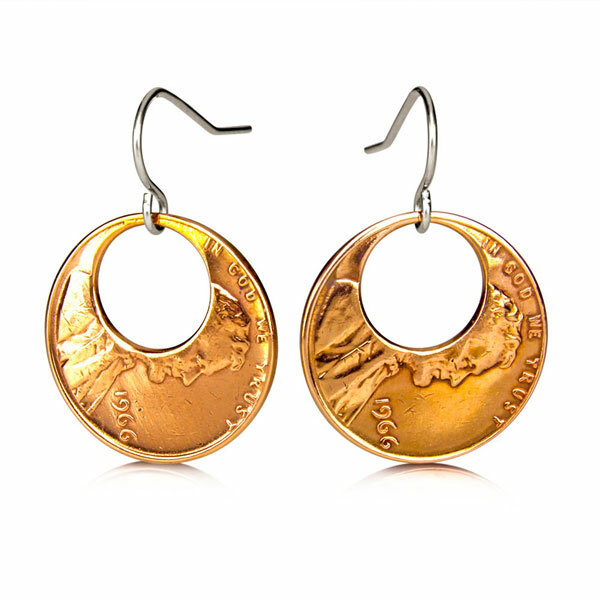 With artistry and imagination, genuine uncirculated pennies become gleaming, dimensional jewelry. Pennies are individually hand-cut, rounded and polished, and hung from surgical steel wires. Earrings measure ¾". Hand made in USA.